The process of labor and delivery has been one of the most perilous activities in human life. The awkward evolutionary compromises giving rise to humans makes birthing potentially life threatening for both mother and child. Despite the development of modern care, labor and delivery continues to be a dangerous process even though the levels of fatality have decreased over the past several decades. 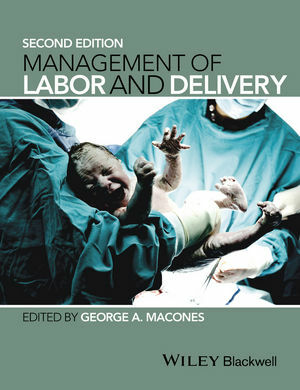 This clinically focused guide to modern labor and delivery care covers low and high-risk situations, the approach of the team in achieving a successful outcome and what to consider when quick decisions have to be made. Aimed at both trainee and practicing obstetrician-gynecologists, this new edition includes practical guidance such as algorithms, protocols, and quick-reference summaries. It is squarely focused on the process of birth and concentrates on modern clinical concerns, blending science with clinical applications. Obstetrics for the American Journal of Obstetrics & Gynecology.